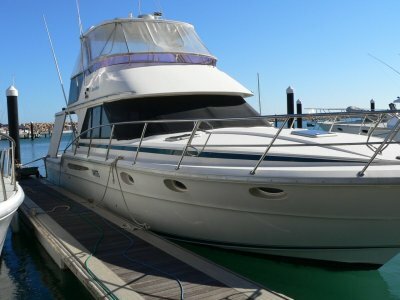 US $465,000	Plus Shipping, GST & other Need Finance? US $465,000	Plus Shipping, GST & other Need Finance? Need Insurance? 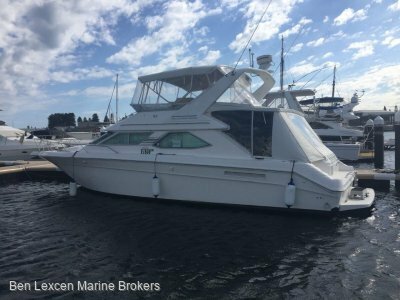 The Helmsman 43 Pilothouse is an expanded version of our popular 38 Pilothouse. 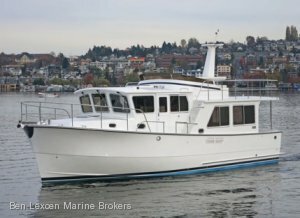 Its creation was inspired by the many times we've heard "I love the 38 Pilothouse but I need two staterooms". So we've retained features that make the 38 Pilothouse appealing... Richly nautical interior design and construction... A unique day head accessible from the salon... 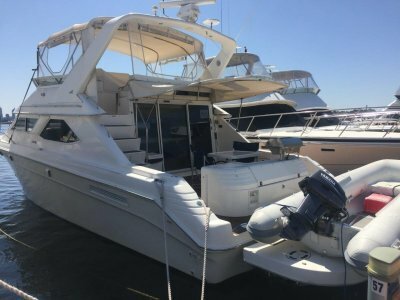 Spacious "low rise" pilothouse with good visibility aft to complement outstanding forward visibilty... Open interior layout... 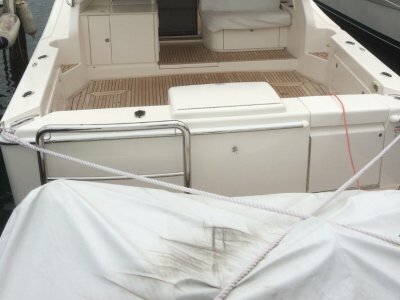 The safe and easy access around the exterior of the boat... The large flybridge and boat deck. And with the additional volume achieved from a longer and wider hull and additional freeboard we've added a second stateroom, increased the size of the salon, added more interior seating, and increased the cockpit area. We've also added new features including a no-drip edge around the bridgedeck and a full-length cockpit cover. A range of engine choices up to 480 hp. While we prefer Cummins QSB-series engines for their combination of quiet operation, reliable performance, cost, and effective electronic controls, we can also install John Deere, Yanmar, Lugger, and Isuzu engines. Or other brands, depending on engine dimensions.